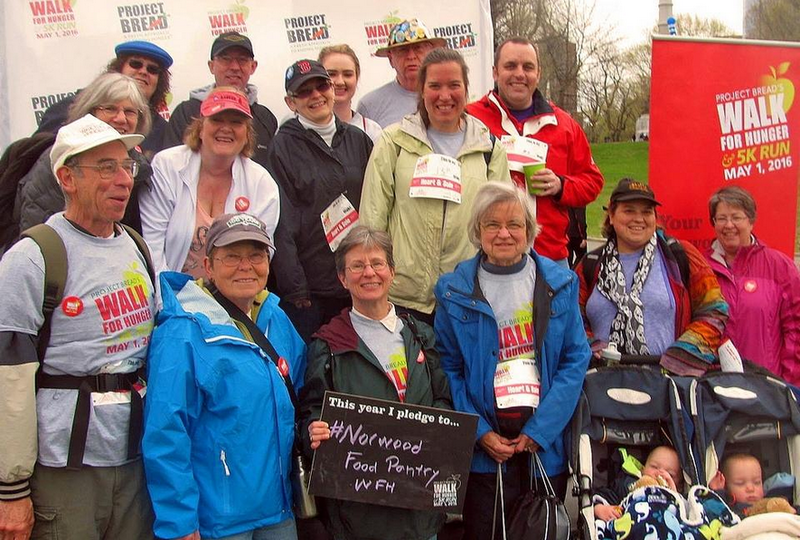 The Norwood Food Pantry is organizing a team to participate in Project Bread’s 49th annual Walk for Hunger on May 7, 2017. The event seeks to provide food for struggling families. The 20-mile walk begins and ends at the Boston Common. Starting between 7:00 and 9:00 a.m., it will wind its way through Boston, Brookline, Newton, Watertown and Cambridge, with entertainment, water, free snacks, first aid and toilet facilities along the way. Participants can also walk fewer miles and take advantage of free transportation back to the common every 2 miles along the route. Participants in both the Walk and the Run are encouraged to solicit monetary pledges from friends, family and co-workers, but there is no registration fee required and no minimum fundraising pledge. To participate, contact team captain Nick Campagna at 781–762–6866 or visit here.